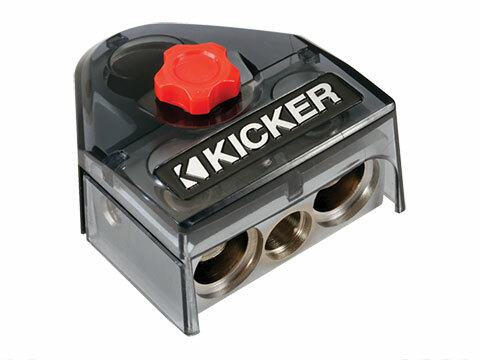 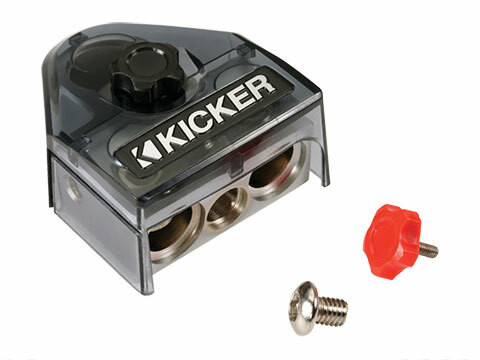 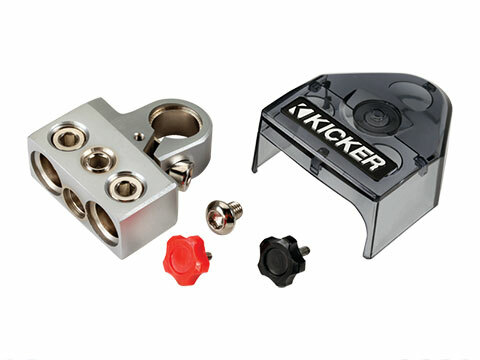 The KICKER® BT4 battery terminal works with 1/0 to 8 Gauge wire. 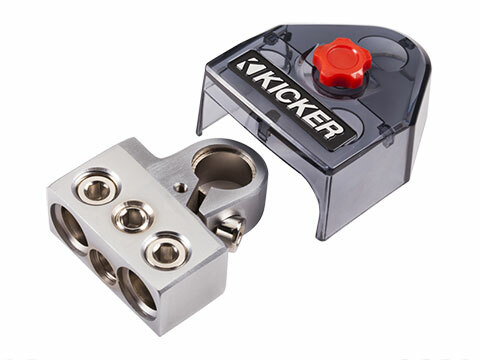 This battery terminal uses Versa-Gauge™ connection points with oversized convex screws for rock-solid connections. 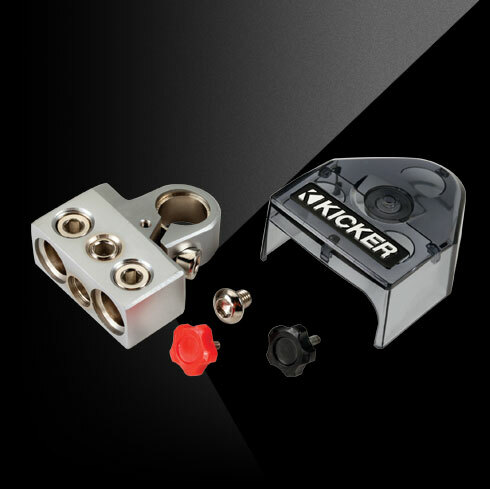 The wire receptacles work perfectly for clean, sharp install and a negative-post adapter collar that locks into place.